I can’t help but reflect on how far my sweet kindergarteners have come since the beginning of the year! They’ve grown up in the blink of an eye and evolved into these confident, little learners. 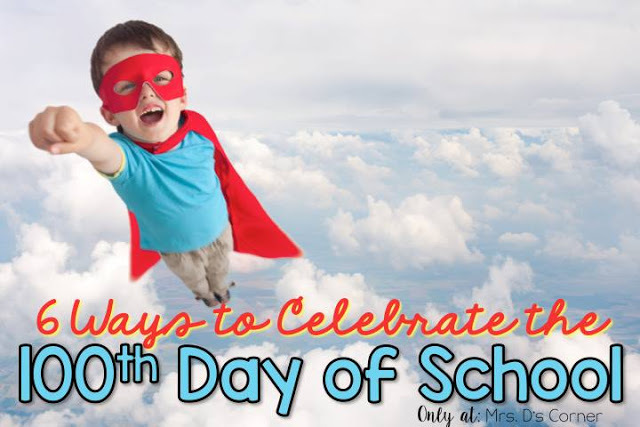 My heart is always full thinking about their progress up until this point… so obviously we must celebrate BIG! 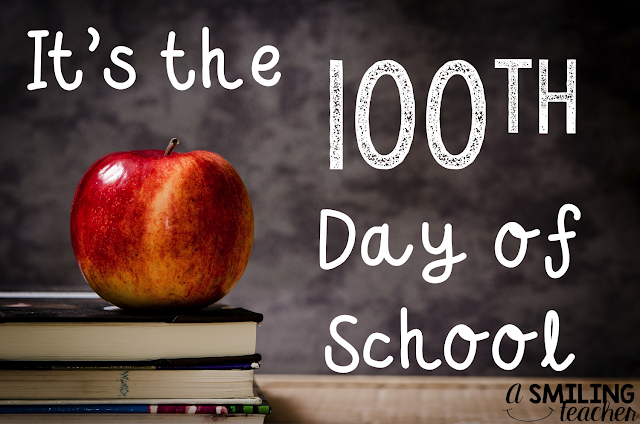 The 100th day of school is a BIG day in elementary school…especially in kindergarten! We make a BIG deal out of this day. Do we do anything too crazy? 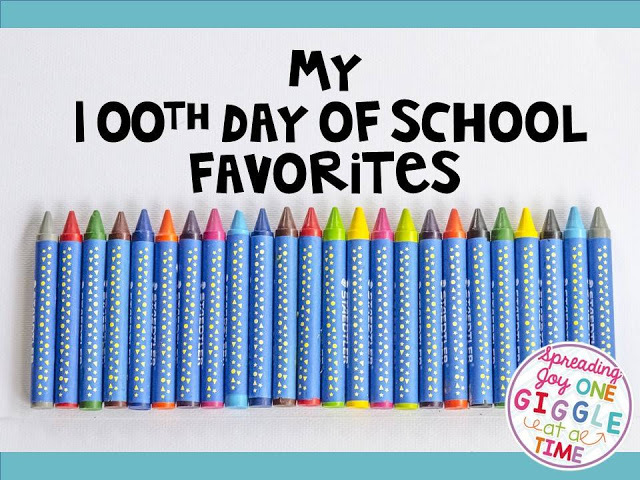 Over the past few years I’ve tried a lot of different activities on the 100th day of school. **You name it, we’ve probably done it! Here are my Top 3 ABSOLUTE favorites! If you don’t already have the Aging Booth app, you need to get it right NOW! 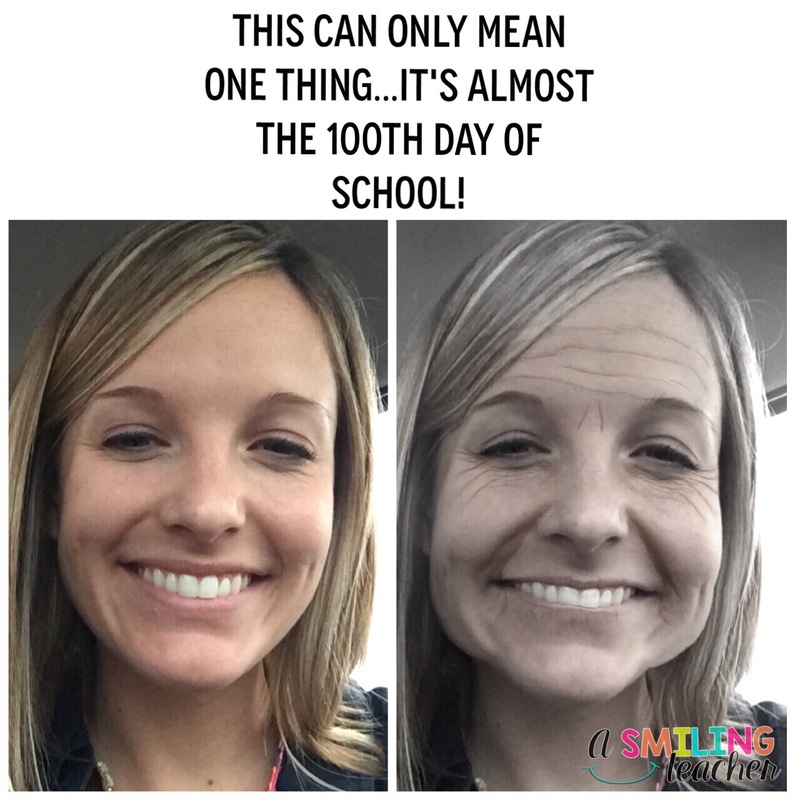 You can take pictures of your students on 100th day and upload them on the app right away to show them what they will look like when they are 100 years old. If you already have 1,000 pics of your kids on your phone, you can upload them and print them out ahead of time! 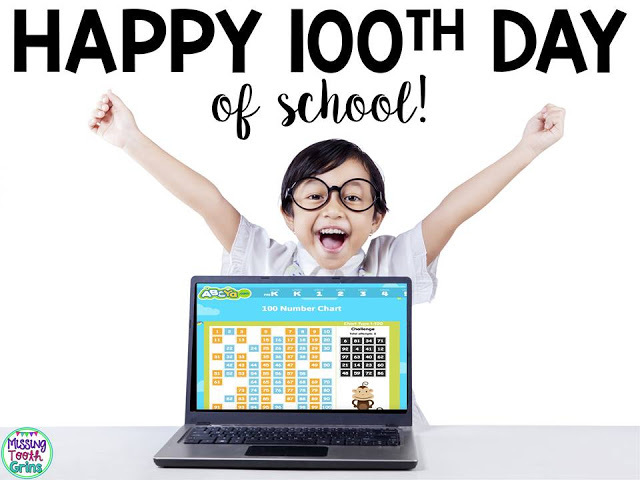 You can have them waiting for the kids on the 100th day! You may not be able to handle the laughter! 2. 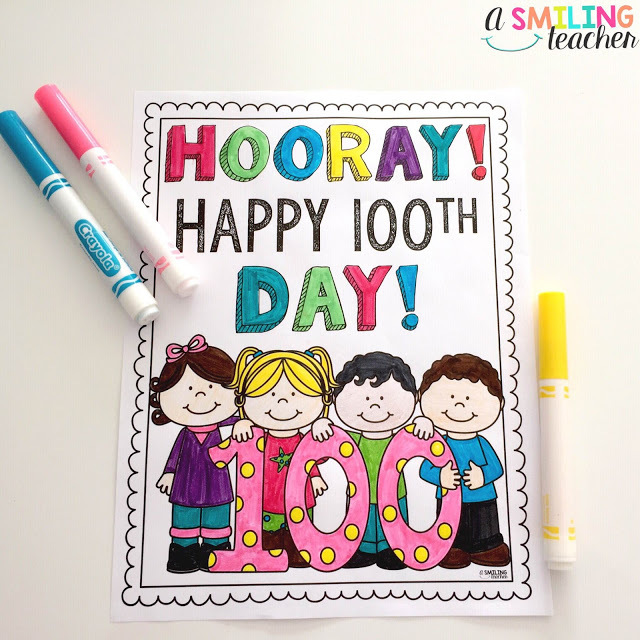 Dress Up Like You’re 100! 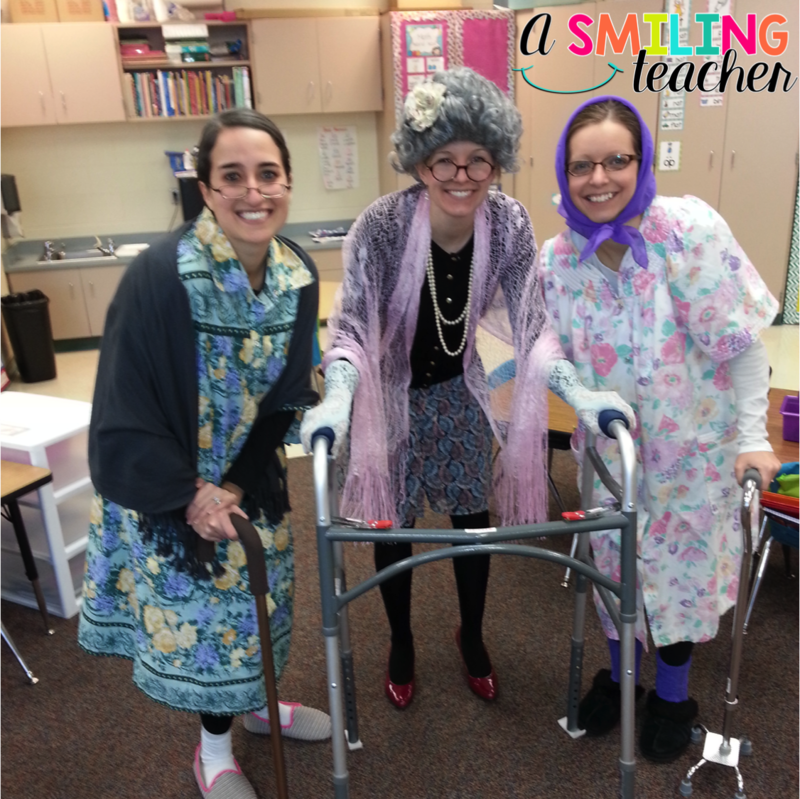 Can I just say, that there is nothing cuter than a class full of 5 and 6 year olds dressed up like old men and women! The glasses, the salt and pepper hair, the clothing, the pearls! 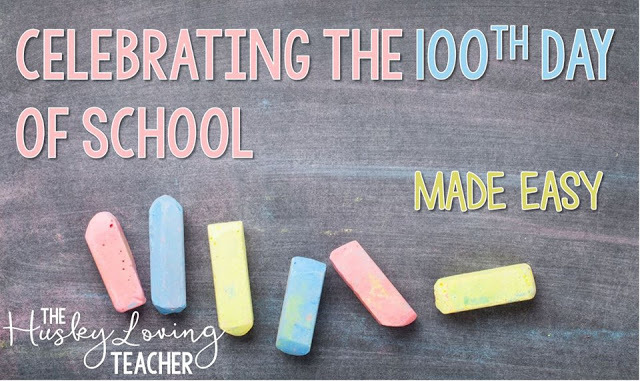 No matter what you choose to do to celebrate PLEASE make sure that your students do some sort of creative writing prompt on the 100th day of school. 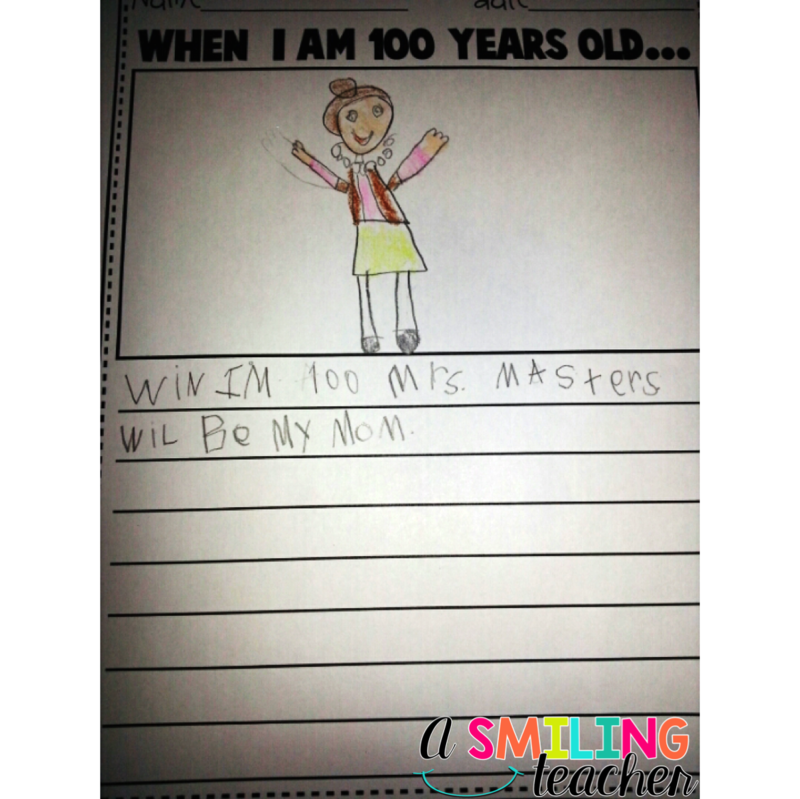 I like to have my kids write about when they are 100 years old. The things they come up with are priceless! 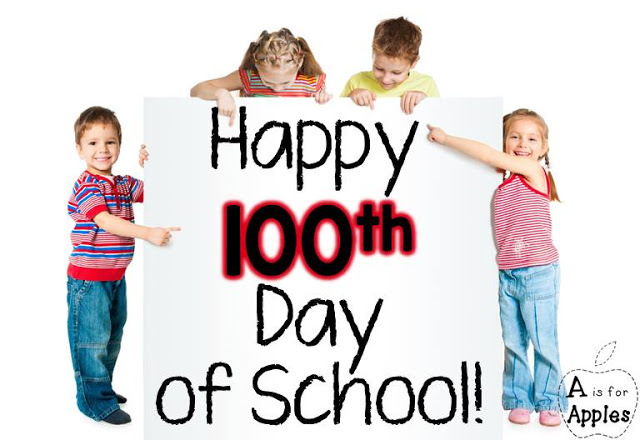 The following picture was taken on the 100th day of school in 2015. This writing prompt is from Mrs. Jones Creation Station! 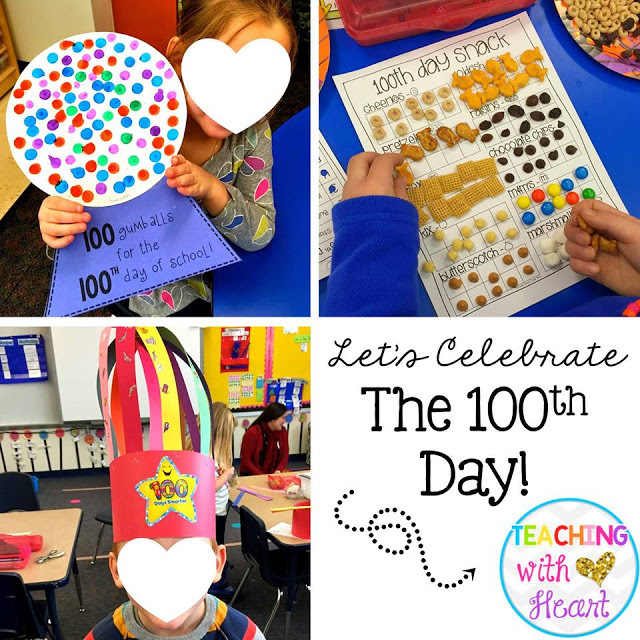 She has a ton of engaging 100th day activities that require minimal effort. By minimal effort, you just have to push the print button! 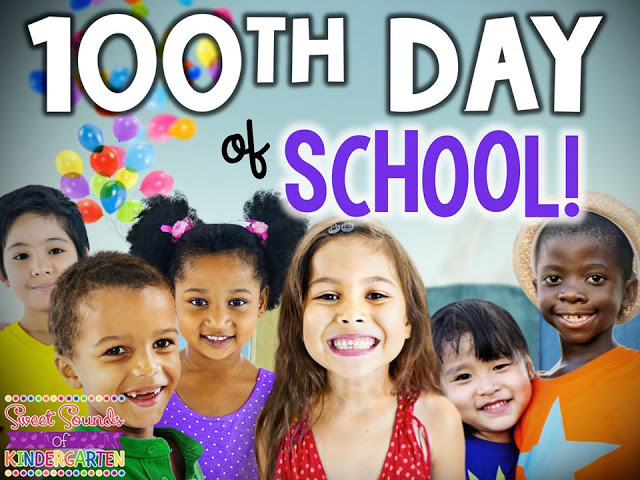 school only happens once a year so it’s important for students to have fun with it! 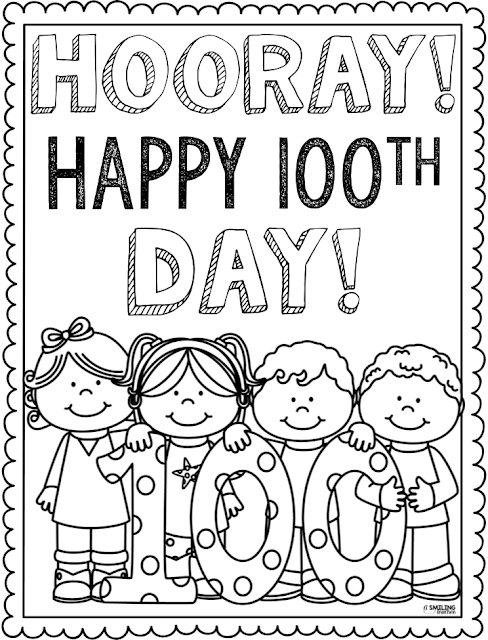 Click the image below to grab your FREEBIE coloring page! 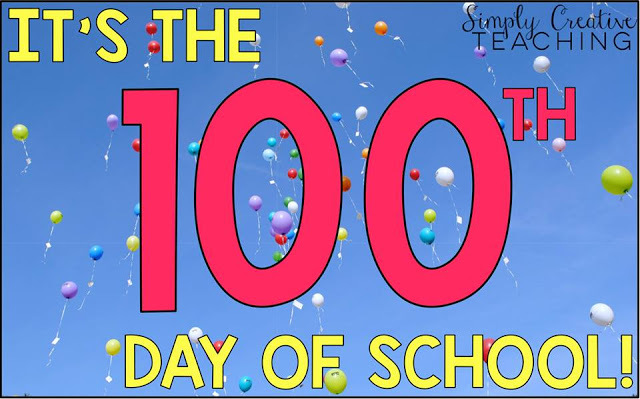 Hope you all have a fabulous 100th day of School! 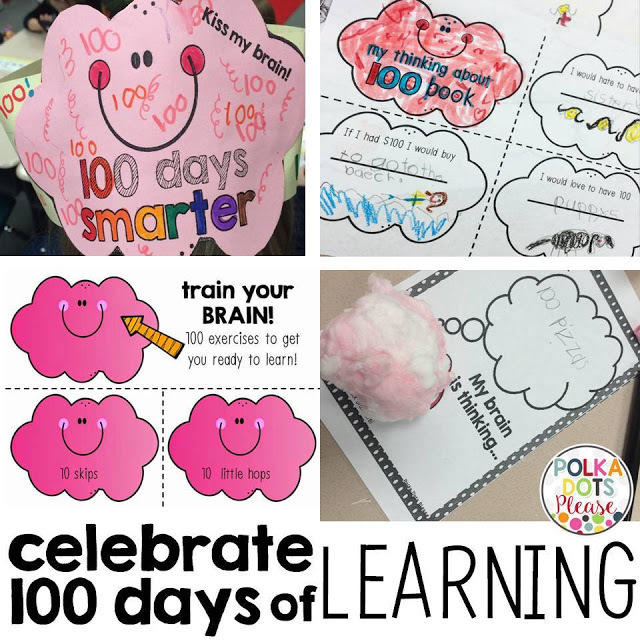 Check out some more great 100th day ideas from my friends! 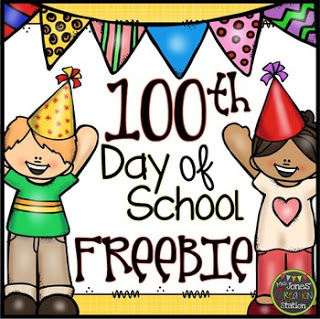 Hope you found some awesome resources! « Well Hello There Turkeys!